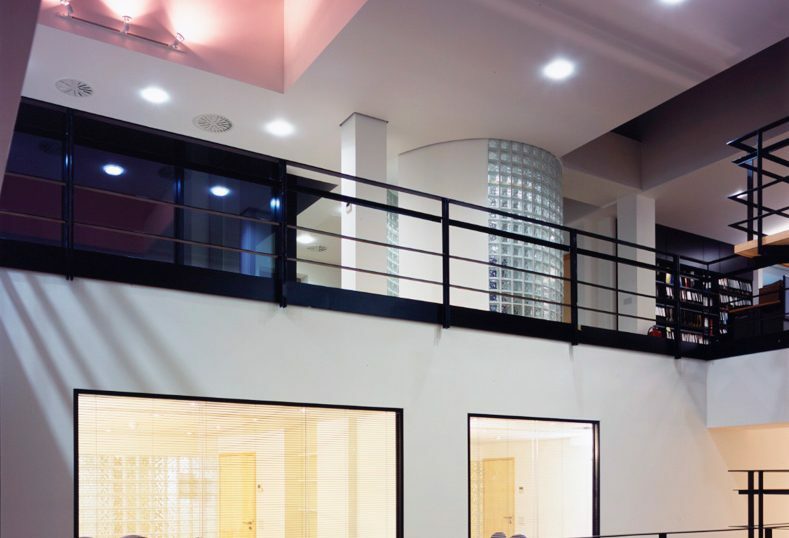 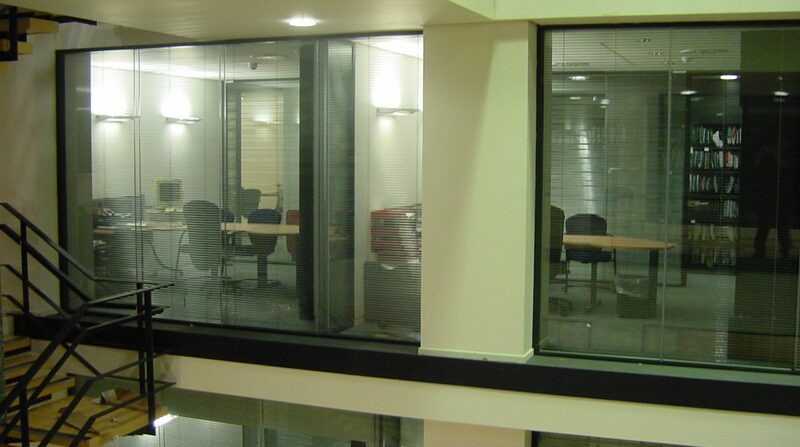 The Solare™ Acoustic Double Glazed Partition system is used as the interior office partition system as well as the Atrium wall system at Samuel Lewis. 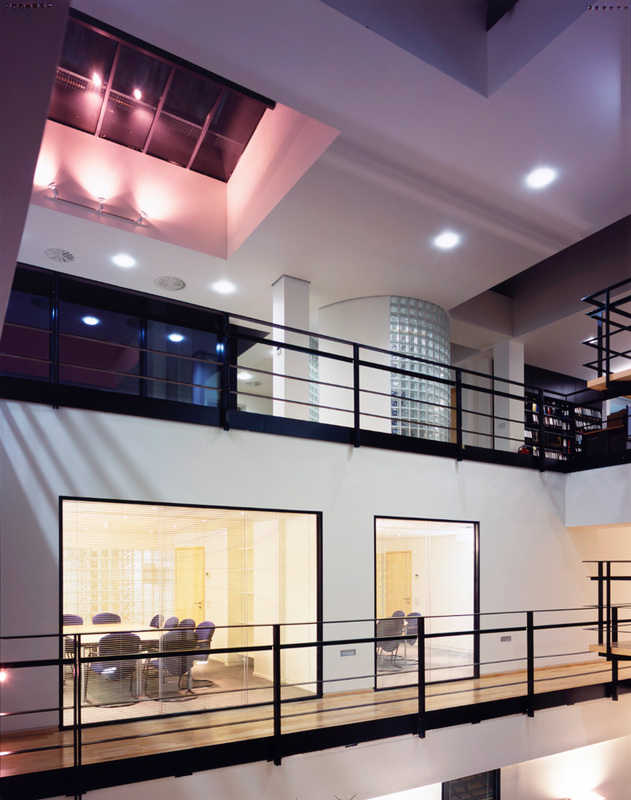 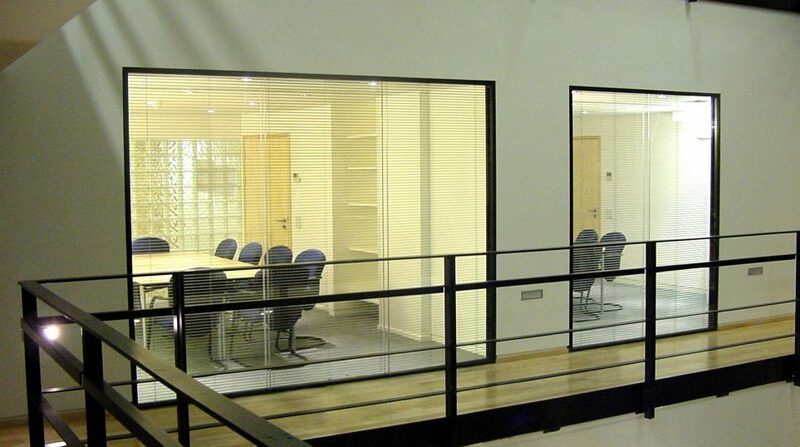 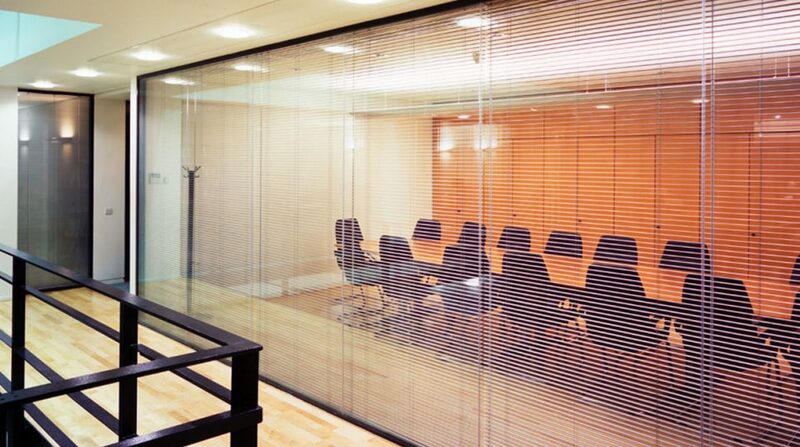 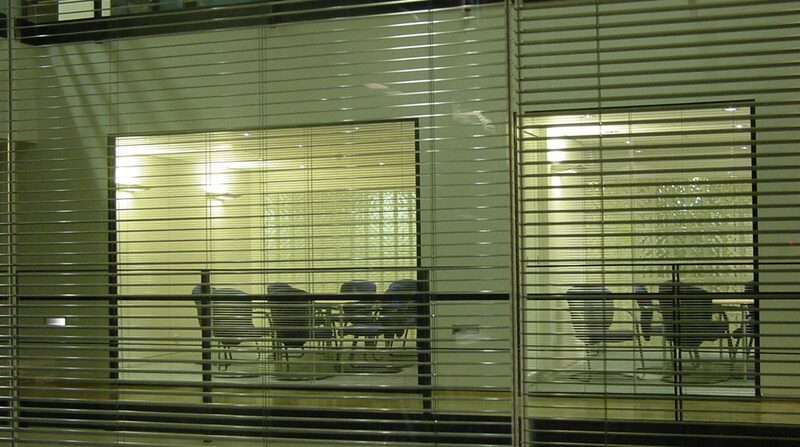 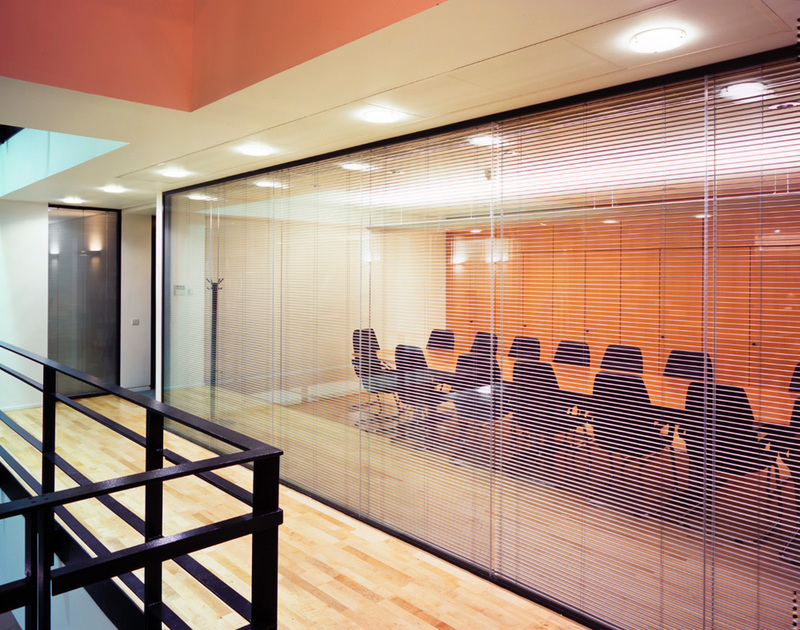 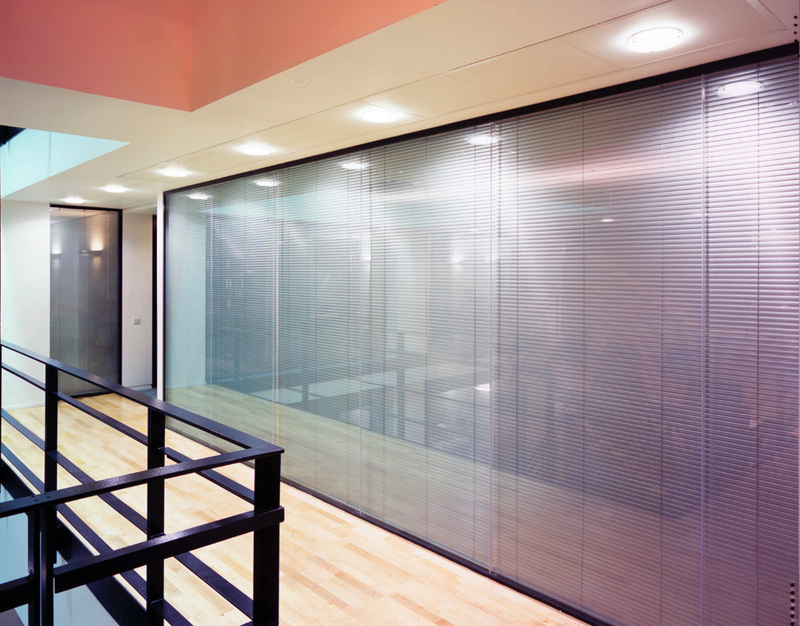 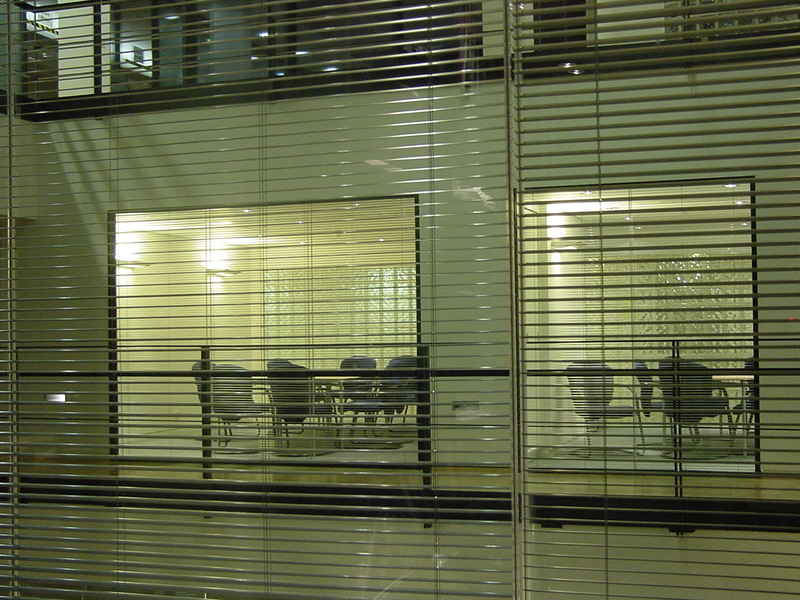 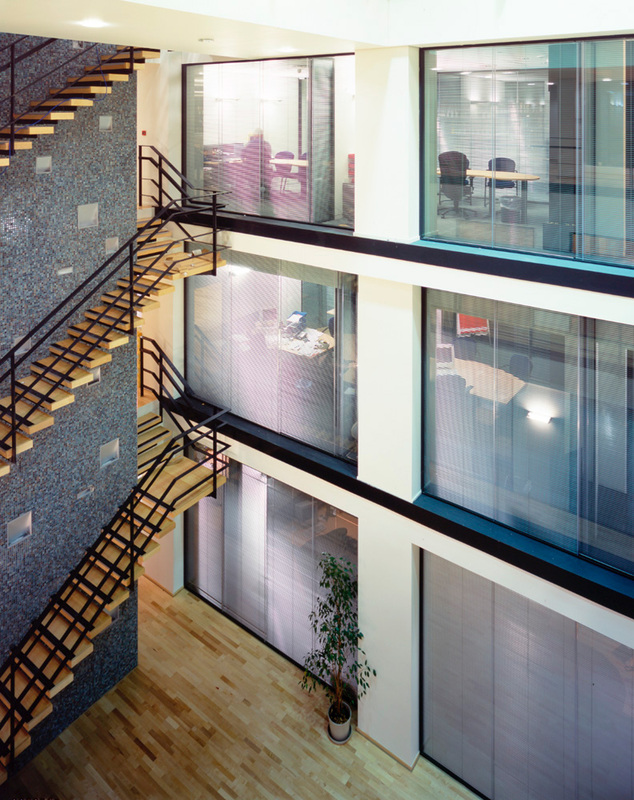 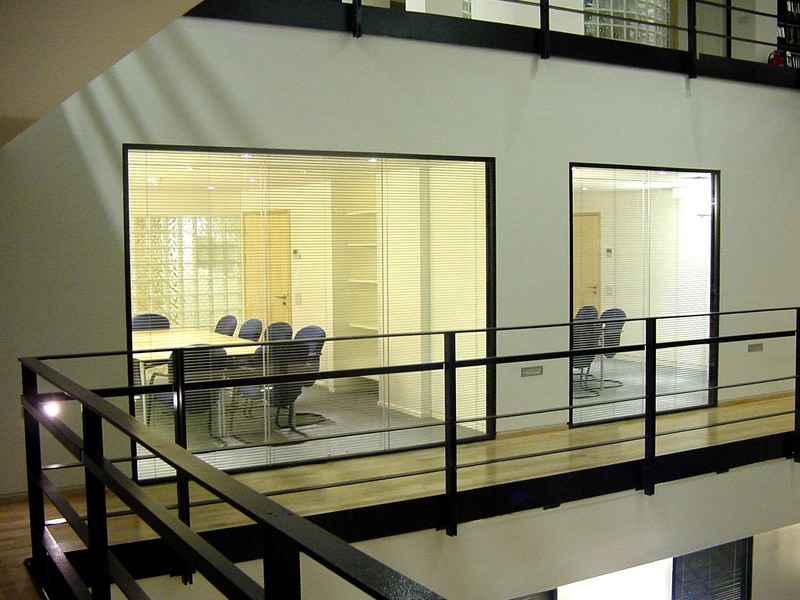 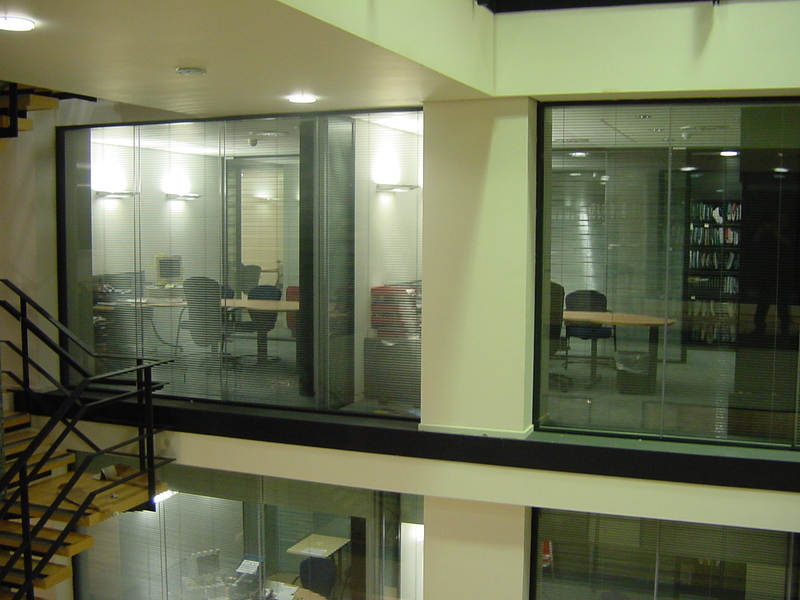 To provide privacy in both glazed partitions of the offices, the integral blind option was incorporated. 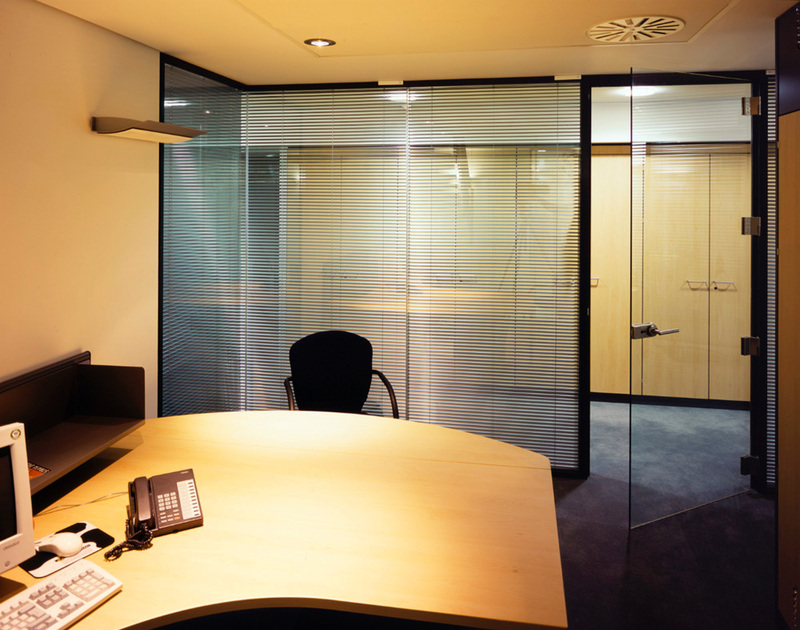 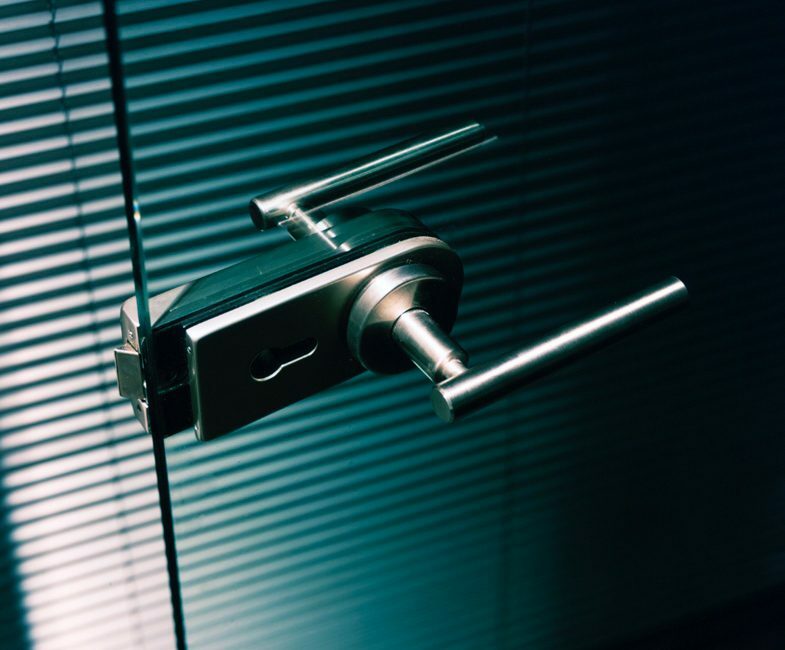 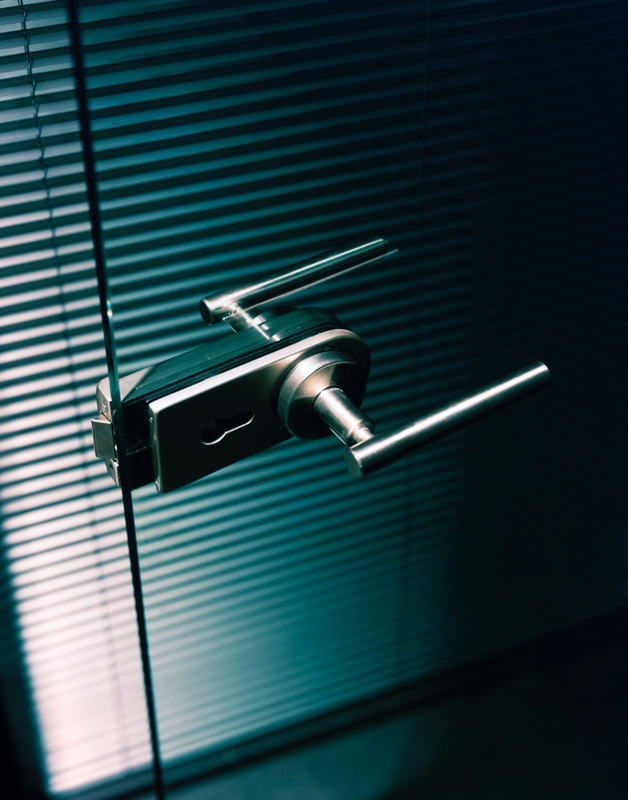 The Hinged Glass Swing Door with the Lever Handle and Center Mounted Lock control entry into the office space. 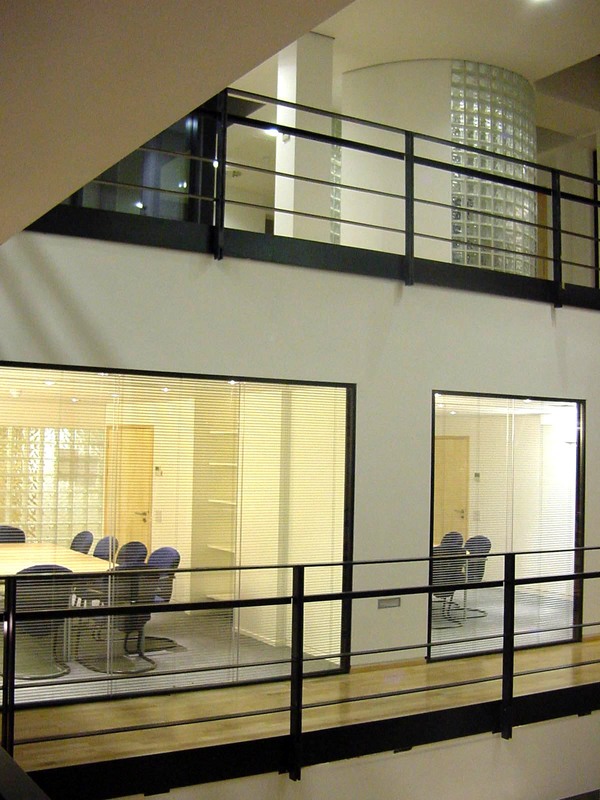 A custom dark espresso finish was chosen for the Aluminum Framework, Door Fittings and hardware.